Home » DGP Innovation Challenge Winners are announced! DGP Innovation Challenge Winners are announced! The Defence Growth Partnership, working together with the UK MoD’s Defence and Security Accelerator, has announced the winners of the DGP Innovation Challenge Final Phase. 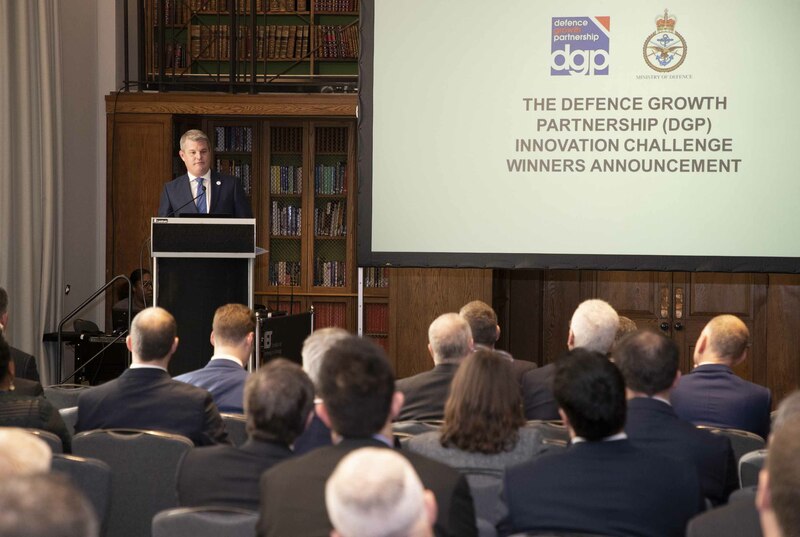 On the 12th of November at the Institute of Engineering and Technology, Minister for Defence Procurement Stuart Andrew (pictured) announced the four winners of the DGP Innovation Challenge at an event hosted by DGP Industry Co-Chair, Allan Cook. Please see the full press release on the gov.uk website .